Wow! 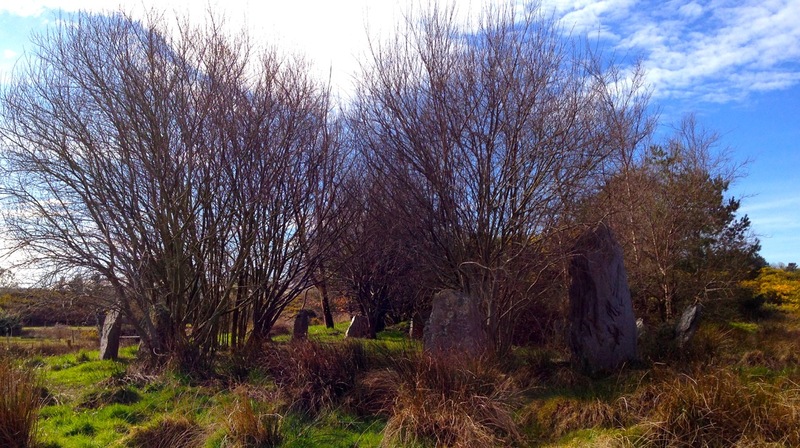 A hitherto unrecorded stone circle, a boulder burial, a gigantic standing stone and a dolmen… all found on a Saturday morning walk. 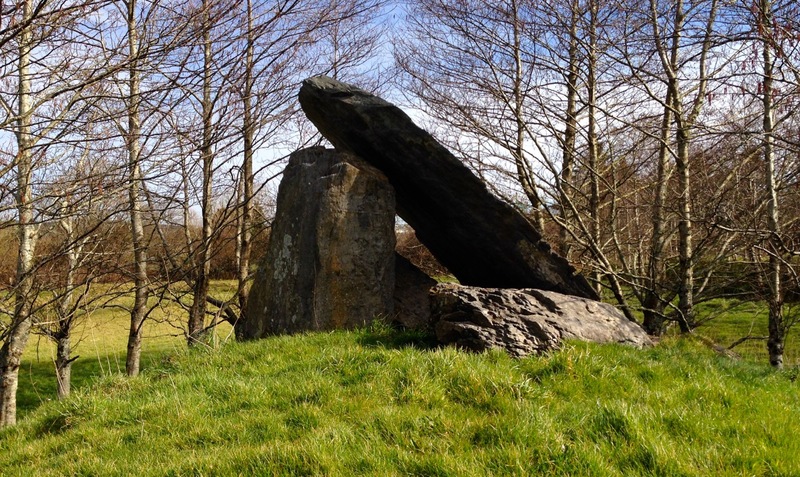 Right behind the main village street in Ballydehob is a spectacular example of twentieth century Irish history: a golf driving range with a prehistoric theme! 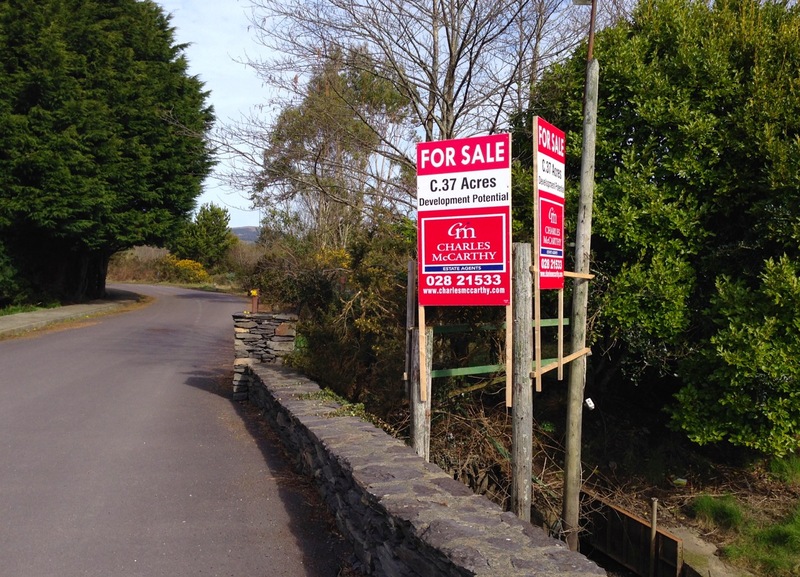 Ballydehob’s Golf enterprise came with the Celtic Tiger – and went when the Tiger collapsed. It’s now a site looking for a buyer – you could have it! 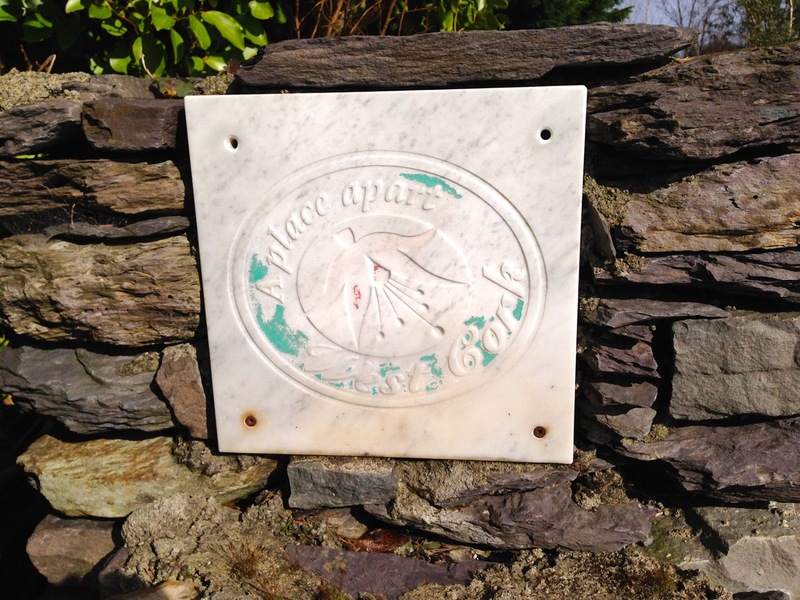 The unfortunate demise of the West Cork Golf Academy has left Ballydehob with an unofficial ‘town park’ – a very pleasant place to walk on a balmy spring morning. If only there was a way that this could become a permanent amenity for the community. 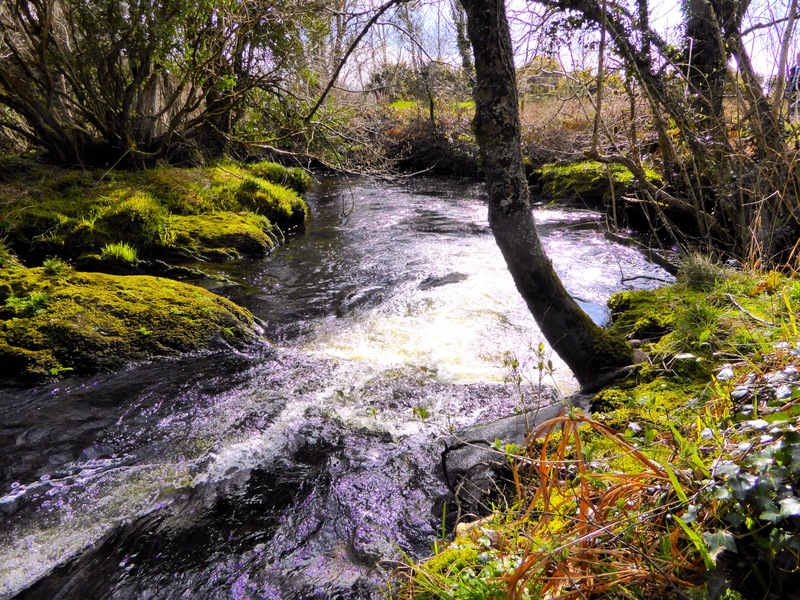 But the land has a value and – presumably – potential for some worthwhile development. Who knows what the future holds? 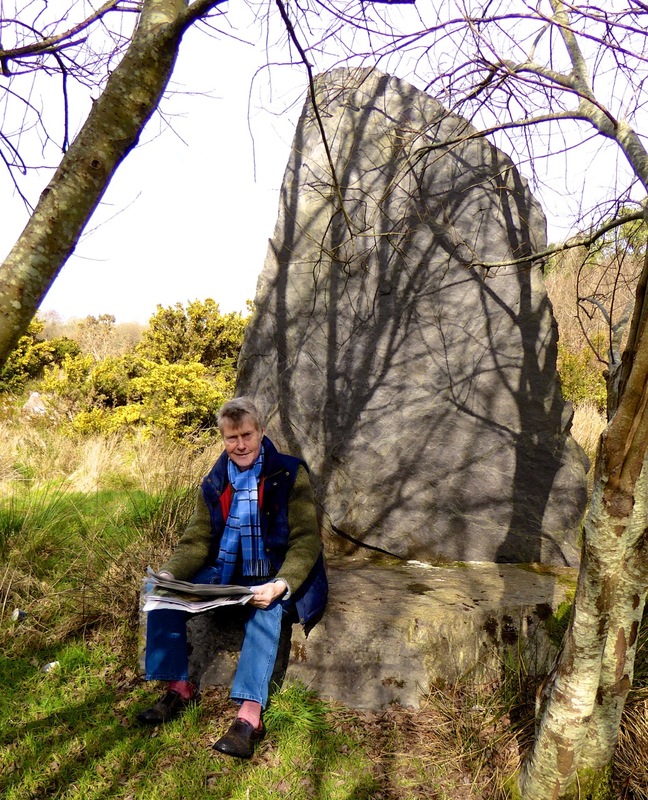 Meanwhile, we enjoyed our chance discovery of New Archaeology right on our doorstep! 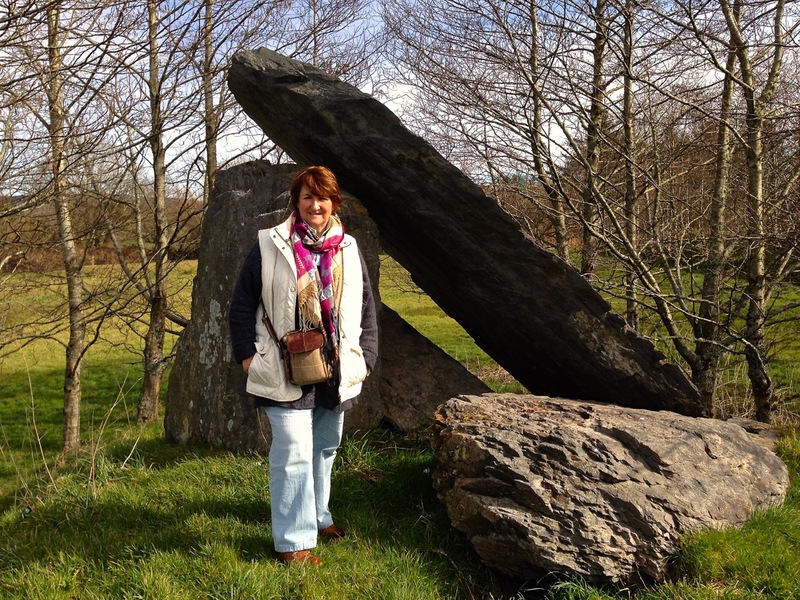 This entry was posted in Archaeology, Ballydehob, Irish History, Nature, Roaringwater Bay, The Mizen Peninsula, West Cork, West Cork Blog, Wild Atlantic Way and tagged Budd's of Ballydehob, Development site for sale in Ballydehob, Fuschia Brand, New Archaeology, West Cork Golf Academy. Bookmark the permalink. Robert, looks like you like color too…pink socks…charming. 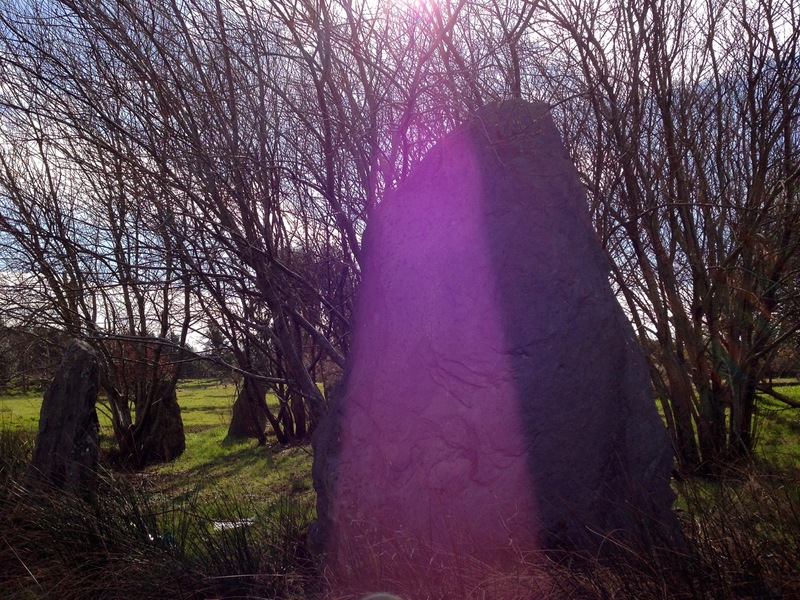 The stone circle was unrecorded? Goodness knows what there is still to be found underneath our feet. 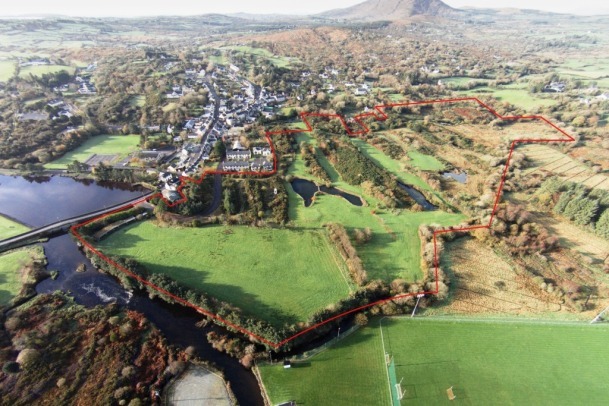 I’m afraid I get angry at the bars to countryside access in Ireland, and in particular the golf clubs that sprang up to make a few quid for the speculators in the ‘good times’. The Old Head of Kinsale is a prime example. 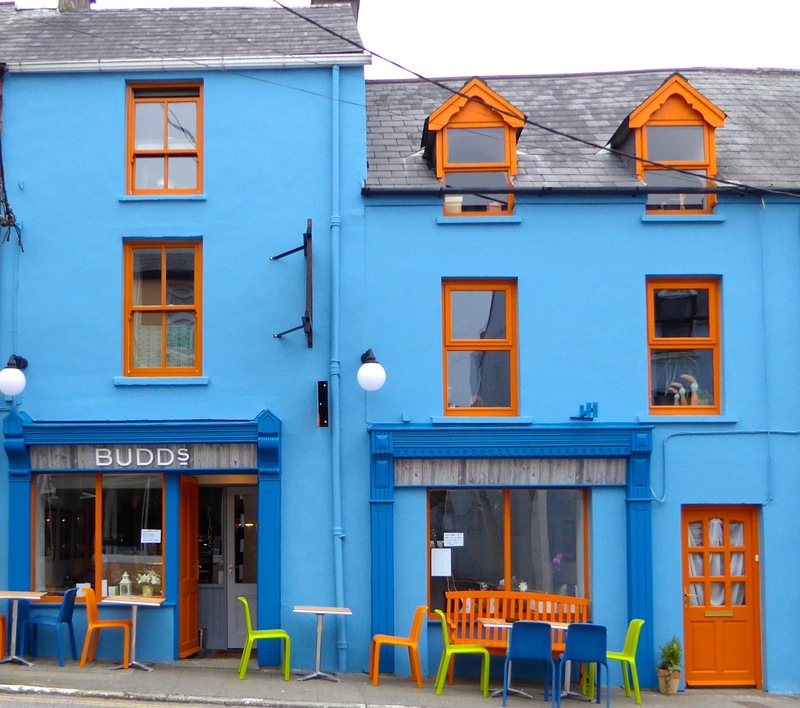 Robert, I promised myself ONLY one full Irish breakfast when I’m with you both and looks like Budds the place – bring on the fried bread!